Be sure you do not apply any pre-emergent herbicide prior to overseeding your Tall Fescue lawn. Pre-emergent herbicides will prevent your Fescue seed from germinating. Run a soil test two weeks prior to overseeding. This test will indicate if you need to apply lime to raise the pH level or if your lawn requires specific fertilizers. Your lawn may not need fertilizer, and you can cut down on this cost by conducting the test. 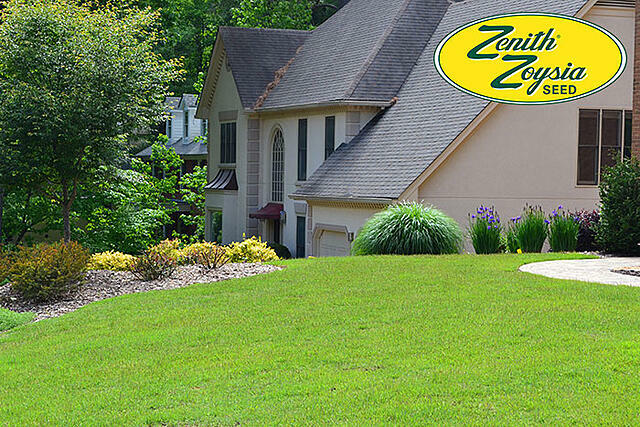 Purchase the necessary soil amendments from your local Super-Sod store. As an alternative to traditional fertilizer, order Soil3 organic compost from your local store to add nutrients to the soil. Click here to calculate how much Soil3 you will need for your project. If you don’t have an aerator of your own, make arrangements to rent or borrow one. Mow the lawn to remove excess vegetation, making it easier for the aerator to reach the root zone. The short blades of grass will also help the grass seed reach the soil more easily. Rake your lawn to remove debris and any other vegetation. This will allow for greater soil contact and earlier germination. While you are raking, look out for high or low points in the lawn and level those out. Aerate your lawn with a core aerator, pushing your aerator in a grid-like pattern to ensure complete coverage. Start by moving the aerator from north to south, then come back over the area moving from east to west. Aerating will create pockets that allow for movement of air, water and nutrients in the root zone. If the soil test revealed that your lawn was low in pH, apply lime with a spreader over the area with low pH. Using a high-quality Fescue seed such as Elite Tall Fescue (100% weed-free), spread your seed with a hand-held spreader. Calibrate your spreader to the correct setting to ensure you are distributing seed at the correct rate. Spread seed in a grid-like pattern for full coverage. Spread half of the seed in a north-south direction and the other half in an east-west direction. Instead of topping seeds with wheat straw and potentially introducing foreign seeds, use Soil3 organic compost to mulch your lawn. 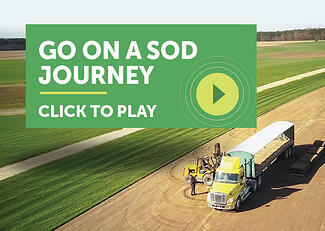 Rent a compost spreader from your local Super-Sod. Apply ¼ inch of Soil3 to the entire area. 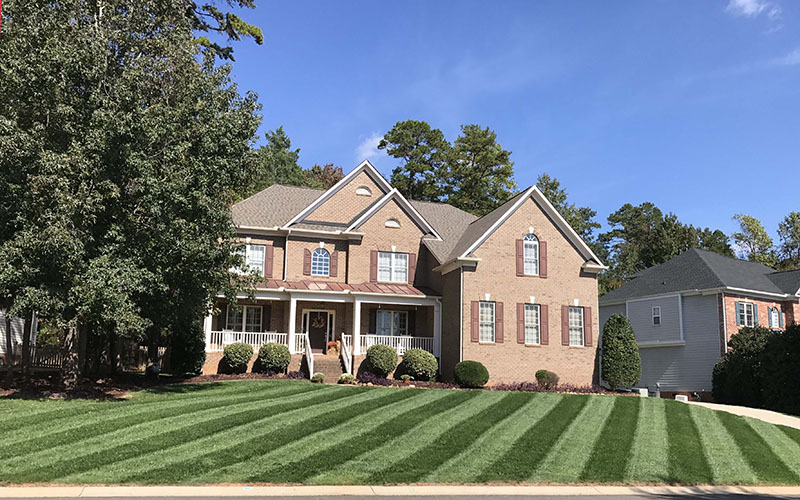 This will help increase soil contact and act as the first fertilizer application for your lawn. If you don’t rent a compost spreader, use a shovel to spread a very thin layer of Soil3 across the seeds, just to the point of a light covering. Water thoroughly and immediately after planting. 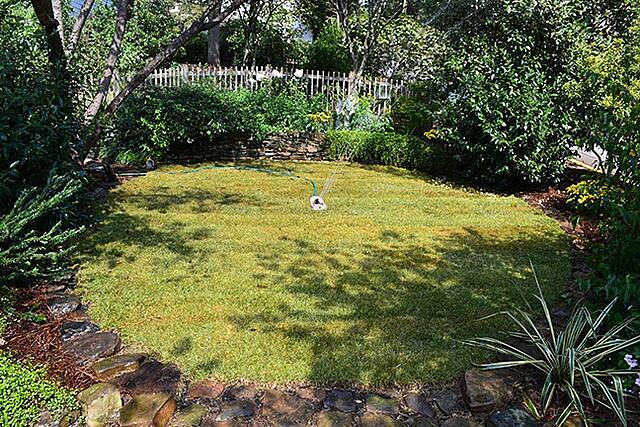 Water your grass once to twice daily until seeds germinate. During this time, make sure the soil is constantly moist, taking into account rainfall and temperatures. Germination will take approximately 2 weeks.